System requirements for ARK: Survival Evolved are not very demanding. The minimum hardware is currently on the low mid-range. All of the following tests have been completed on a system with a Core i7 4790K at 4GHZ, 16 GB RAM and an AMD R9 290 with 4GB of VRAM. ARK: Survival Evolved was running on version v221.3 at a resolution of 1920x1080 with the 15.7.1 AMD Catalyst Control Center drivers. No benchmarking tool was available in the game so testing consisted of walking around The Island map near the shoreline, then into a forest area and then back to the shoreline. Each test was completed three times using FRAPS to record the frame rate and then an average was taken. 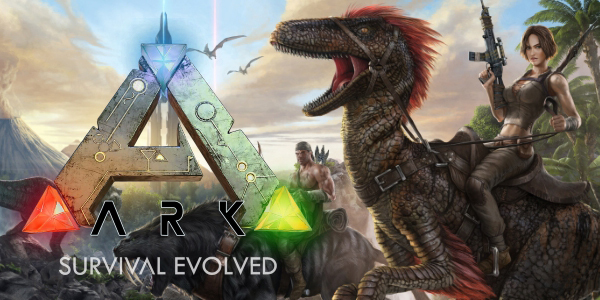 ARK: Survival Evolved offers a range of graphics settings, with four presets available. Each setting with a drop down menu can be adjusted between â€˜Lowâ€™, â€˜Mediumâ€™, â€˜Highâ€™ and â€˜Epicâ€™. You can see the changes a setting has made as soon as you apply it however three settings from the post-processing section of the video settings do require you to restart the game when applying. Nevertheless, the game was restarted between changing settings to benchmark the game. Resolution scale is a setting that stands out. If set to 100% the game will be rendered at full the maximum resolution that is set, however any other percentage will render a lower resolution. This allows you to lower your resolution and increase performance while maintaining scaling of things such as the in-game HUD and any overlays. Oddly, V-sync is left out in the graphics settings, but this can be manually enabled (it is off by default) by changing a value in a configuration file. The field of view slider (listed as â€˜Camera FOVâ€™) does not state what degree the FOV is at, however the developer had stated that the game would have a slider which would have a range of 70-110 degrees. The performance impact between Low and Medium is a lot bigger proportionally than the difference between Medium and High, and High and Epic. The change from Low to Medium resulted in 37% decrease in performance whilst the change from Medium to High caused a decrease of 46%. High to Epic caused a performance decrease of 38%. The Low preset did have the most fluctuating frame rate over the course of the two-minute benchmark. Large dips in FPS would be apparent when looking away from objects, looking towards the sky and during combat. The frame rate in the Medium, High and Epic presets was a lot more consistent with occasional dips in framerate when new environment was loaded. Overall the performance was quite poor with the game only running at a playable framerate on the low and medium settings. However this is to be expected as the game is in Early Access in a poorly optimised state. The game was virtually unplayable when the Epic preset was applied, with movement and combat both becoming difficult. Image quality on the Low preset was extremely poor. Textures look flat and boring, shadows are non-existent (albeit shading is still present on 3D models), and the draw distance is extremely poor, to the point where huge boulders only a few metres away are being drawn in as you move closer to them. On the Epic preset, the game at best looks average. Even with a high draw distance, textures and shadows are still popping in which can be immersion breaking while navigating in the game. Trees and foliage that isnâ€™t very far still use very low quality textures, only changing to higher ones as you move very close to them. Although, shadows and clouds in the sky are very well rendered. There are two shadow quality settings, General Shadows and Terrain Shadows. Putting general shadows on Low gets rid of all the shadows completely. Lowering it from Epic to any other setting but Low will cause the shadows to get more and more pixelated. Post processing controls the shading and ambient occlusion on/around objects and textures. Putting it on Low gives everything a washed out, almost flat look. Colours become bright and unrealistic and gives the game a cartoonish feel, especially the trees. Increasing Post processing gives everything a darker more realistic tone. Stones in the ground texture have a shading and shadows around them and donâ€™t look flat. The clouds in ARK: Survival Evolved do look very good and arenâ€™t simply an image. However this comes at the cost of reduced FPS. Decreasing the Sky quality reduces the number of clouds visible and also their density making them more transparent. If the setting is put on 0% then the clouds completely disappear. This setting controls how many stones, debris and small plants on the ground are visible to the player. Setting it to 0% gets rid of nearly all stones and shells you would find on the ground, while at 100% they become very abundant. The anti-aliasing the game uses doesn't look visually impressive. Itâ€™s a simple blurring of the pixels and could look a lot better. The controls settings in ARK: Survival Evolved allow you to rebind almost every key in the game. The game supports gamepads, however gamepad controls cannot be remapped. Sound settings are quite basic offering four different volume sliders. Surround sound is not apparent in the game but as the game is in early access. Consequently there is no positional audio so you wonâ€™t know if someone is sneaking up on you! Hopefully this will be added in the future alongside stereo sound. The game is poorly optimised which is expected for an early access title. The system requirements should definitely be changed as even the hardware I used to benchmark this was struggling and is well above the minimum requirements. A mid to high end system is definitely need to play the game. The developers are aware of the optimisation issues of the game and are constantly trying to improve it. For a game that isnâ€™t visually impressive, itâ€™s performance is ultimately very poor. Controls are intuitive and can be rebound, and I experienced no bugs or crashing while benchmarking and playing around with the game. Is the aspect ratio of the screenshots wrong? They look odd, I'm not sure if you set the correct size for them. They were actually! I'm not sure why I didn't spot them earlier, I've fixed them now. Thanks.